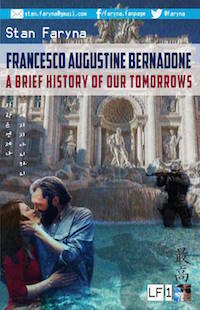 As some of you know, I urgently seek book reviews on Amazon.com for my debut book, Francesco Augustine Bernadone as I compete for a finalist position for Amazon’s 2017 Storyteller contest. Over the years, I have given and received reviews on products, services and other things. This blog post serves for reflection on what makes a review, relevant, meaningful and useful. Please don’t give me an honest book review. Be truthful, start a new conversation with me, and be an encouragement that I will take to my heart. Don’t be the problem. There’s too much misunderstanding, discouragement, indifference, envy, contempt, violence, pain and hate in the world. Let us endeavor not to add to it. Lest we destroy the world, each other and our selves. In fact, careless, quick and self-serving speech causes a lot of pain in this world. Truth is a two-way blessing, liberator and boon. Write that kind of review. Be that kind of reviewer. All of the time it will take to write a truthful review (and truthful reviews take time to write with head and heart) is an investment that will receive a return on investment by ten times or more. Truth is profitable but honesty will put you into debt and in the way of destruction. by Stan FarynaZombies stalk the streets, greedy tour guides prey on noobs and old men are filled with long-odds hope in this disturbingly brilliant short story by first-time author Stan Faryna. This entry was posted on Sunday, May 28th, 2017 at 3:14 pm and is filed under Uncategorized. You can follow any responses to this entry through the RSS 2.0 feed. You can leave a response, or trackback from your own site. Thanks for your comment, Greg. I’m glad to see you visited my little blog. Your links in your comment will generate some SEO juice. It takes time, but it helps when you got links on a well trafficked site or blog. Thank you for this! I am an author too, and would appreciate the same thought process in reviews that I give in my books. It takes months to years to research, write, edit, and market a book. Respect comes with truthfulness as well. Well said. I would like to reblog! Thanks for the compliments and reblog, Dianne.